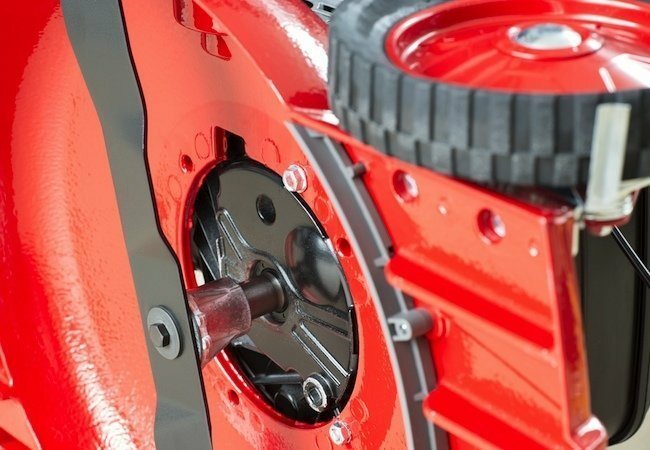 Lawn mower blade removal becomes a necessity when those vibrations start to become annoying. It is a sign that something is wrong and you can easily tell by the reduced efficiency of your mower. There are two solutions to this problem. First, you could call a professional and pay for the service. Second, you could do it yourself with a little dedication and a few tools. Assuming that you already have a replacement blade, here are the steps to do it by the book. You will need a pair of gloves, a wrench set and a piece of cardboard. The cardboard goes under the mower, only to make sure no stubborn stains will affect the driveway or garage floor if they spill from the engine. Once you have these all, disconnect the spark wire. It is a safety measure. When disconnected, there is no chance for the mower to accidentally start. The last thing you want is accidentally turn the mower on while the blade is half removed and your hands are holding it. Removing the actual blade is not as complicated as it might seem. You will need to take the fuel tank cap off first. Get a plastic bag, cover the opening and place the cap back in. It is a smart method to seal the opening and ensure that gasoline will not leak out. With the mower slightly tilted backwards, the front wheels should be in the air. Rest it against a table or wall to keep it steady and prevent moving. Here comes another safety measures. Find a wooden block in your yard and place it between the blade and the deck. Once you loosen the bolt securing the blade, chances are the blade will turn back and injure you. This way, you keep yourself safe. Once you have the wooden block secured, you can remove the blade bolt. Use one hand to remove it and another hand to hold the blade. Pull it out, as well as its support and bolt. It sounds complicated, but if you do it once, chances are, your next lawn mower blade removal will become a routine operation. Installing the new blade implies doing the same operations in a reverse order. Make sure the blade bolt is properly tightened. Keep the wooden block in the same position, as the blade might turn while tightening the bolt. If you have a torque wrench, tighten the bolt to 500 in-lbs. If you do not, just tighten it until it is properly secured. Do not forget to remove the plastic bag from the fuel cap. Once all done, reconnect the spark wire. Your new blade should be perfectly set. In the end, keep in mind that different manufacturers have differently designed units. 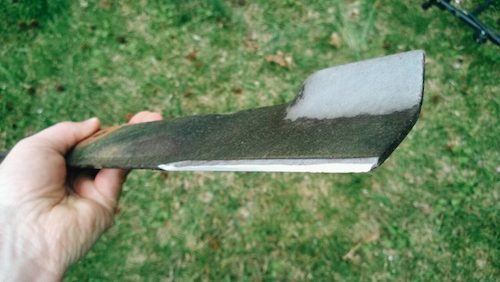 Therefore, this lawn mower blade removal guide may not always work. However, most of them use common sense. If you are the technical type, you should have no problems in figuring it out. Just remember – safety comes first.